Yakima Wine County’s five AVA’s stretch over 70 miles along Interstate 82 in Eastern Washington. Almost right in the middle is the small town of Zillah, which is known for its Teapot Dome Service Station and Rattlesnake Hills wineries. On a recent trip to tour the area’s wineries and join the Premium Tour and Tasting with Treveri Cellars, I was hosted by the Best Western PLUS Vintage Valley Inn. I discovered this hotel is the perfect base for touring the Rattlesnake Hills Wine Trail. Bonus: Guests visiting wineries on the Rattlesnake Hills Wine Trail can receive 20% OFF ANY room type. or call to make a reservation and let them know what Rattlesnake Hills winery you plan to visit! 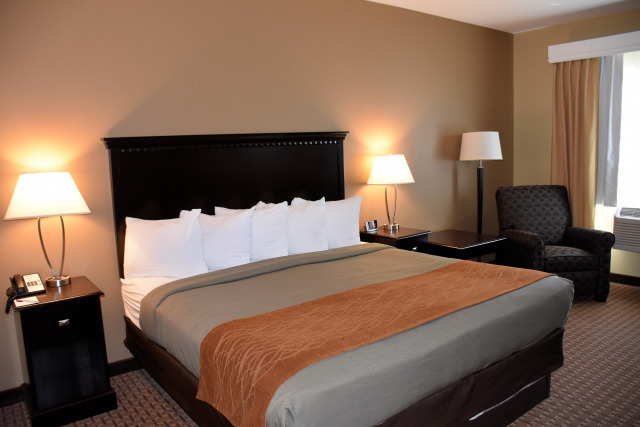 The Best Western PLUS Vintage Valley Inn is located off Interstate 82, and within walking distance are gas stations and fast-food restaurants. The downtown area of Zillah is almost a mile down the road. 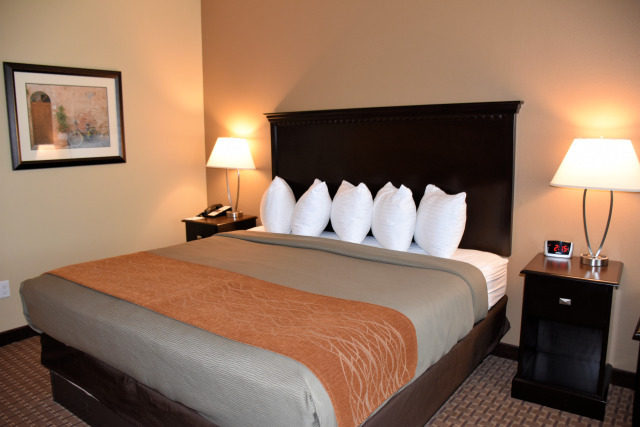 The hotel used to be independently owned and after extensive recent renovations, it rebranded as a Best Western PLUS. I’m not sure what the hotel looked like before, but the design of the hotel is very northwest with Craftsman style details, stonework, and earthy color schemes. The hotel’s lobby is roomy with high ceilings, modern furniture, and decor that highlights the areas farming and wine heritage. There are 59 king and queen guest rooms and ten extended stay suites with full kitchens with full-sized appliances, microwave, dishwasher, pots and pans, and dinnerware for up to four people, which are ideal for those staying in a location for a few days or with family. Also, for those that want to be out of the city, its location provides a quieter setting than neighboring Yakima. 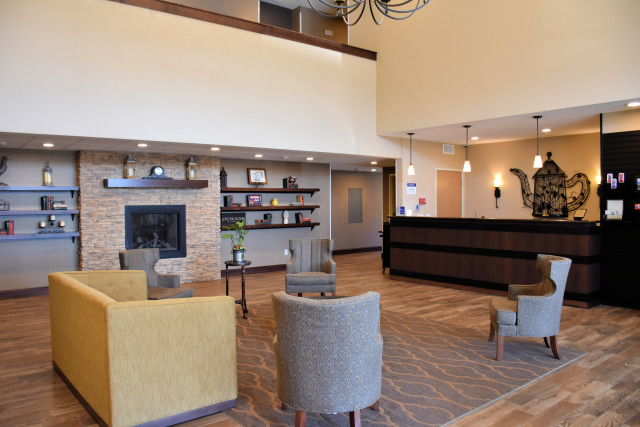 The lobby at Best Western PLUS Vintage Valley Inn is a welcoing space with decor that reflects the lifestyle of the Yakima Valley. After a quick and friendly check-in, I walked down the hall to my first-floor king bed guest room. Right from the start, I liked the dark woods and earthy colors, as it reflected the area’s landscape of dark basalt, golden hills, and amber fields. I also appreciated the room’s spaciousness with plenty of walkable space and room for a desk and lounging chair without running into a sharp corner (one of my pet peeves) and its very large bathroom. The rooms color scheme reflects the Yakima Valley landscape. After settling in, I walked around the property. One of the first things I noticed was all the historical pictures on the walls from the area. Me being a history lover, I liked this added touch. I also noted extra sitting areas for guests to enjoy both indoor and outdoor. When I discovered the indoor heated pool, I immediately wished I had brought my bathing suit. Darn! 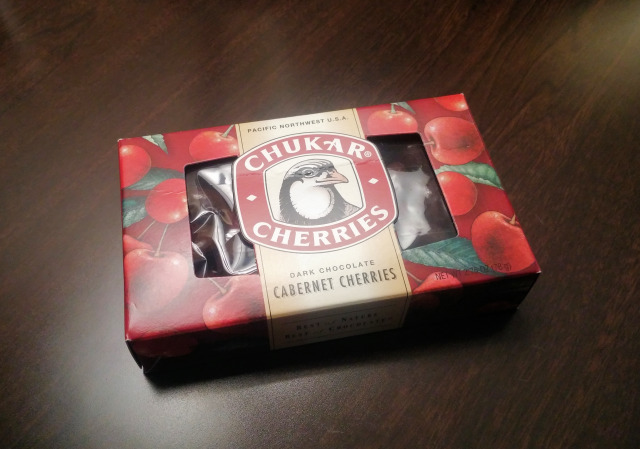 That night, after a day of touring Rattlesnake Hills wineries and dining at HopTown Wood Fired Pizza, I found a box of Chukar Dark Chocolate Cabernet Cherries and a bag of local cherries waiting for me in my room (a much better reward than a dip in the pool, eh?). Thanks Best Western PLUS Vintage Valley Inn for my special treat! If you find yourself craving sweets or something savory, the hotel offers a daily evening snack that usually includes chili and fresh-baked cookies. That night, I worked a little before retiring. I had an amazing night sleep and woke up ready for my wine making day at Treveri Cellars. The hotel’s breakfast is what you’d find at a Best Western PLUS with coffee, juices, yogurts, fruit, and pastries, and a selection of hot items. I opted for the hot items – sausage, eggs and a few potatoes – as I like to protein up in the morning. 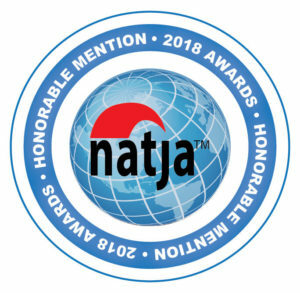 for reviews and travel deals. Please note that rates adjust seasonally, and there might be special discount rates available. 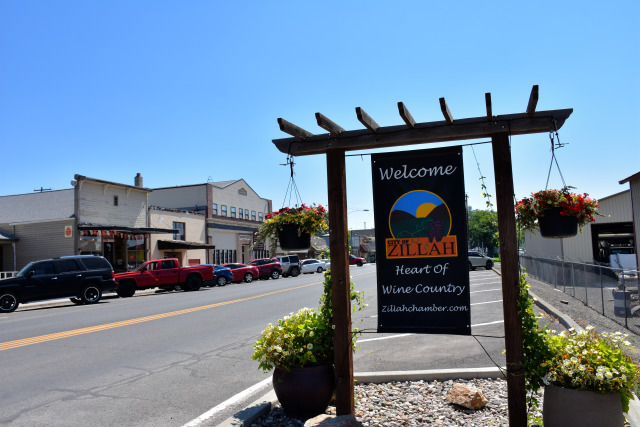 Zillah is a small and quiet town, and some may want a little more hustle and bustle. Being near the interstate makes the hotel easily accessible, but it also means you are near interstate traffic. Would I stay at the Best Western PLUS Vintage Valley Inn again? Yes! If you are touring the wineries in the Rattlesnake Hills it is in a perfect location. After all, you don’t want to drive too far after wine tasting, right? Also, the drive to Yakima is only 20-minutes, so if you do want more of a city scene it’s not too far away. I couldn’t really find anything to nitpick besides its location along the Interstate. That has its bonuses and its drawbacks for any accommodation. Overall, the hotel provided a peaceful stay and a good home base for me to explore Rattlesnake Hills wineries. Pet Travel Tip: Many of the Rattlesnake Hills wineries are dog-friendly, so you’d be able to bring them along. 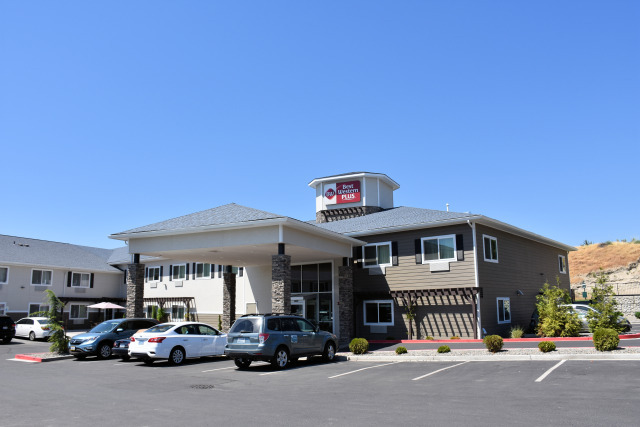 To book a room visit the Best Western PLUS Vintage Valley Inn, and to learn more about the town visit Zillah Chamber of Commerce, and Visit Yakima Valley. When booking don’t forget about the discount! 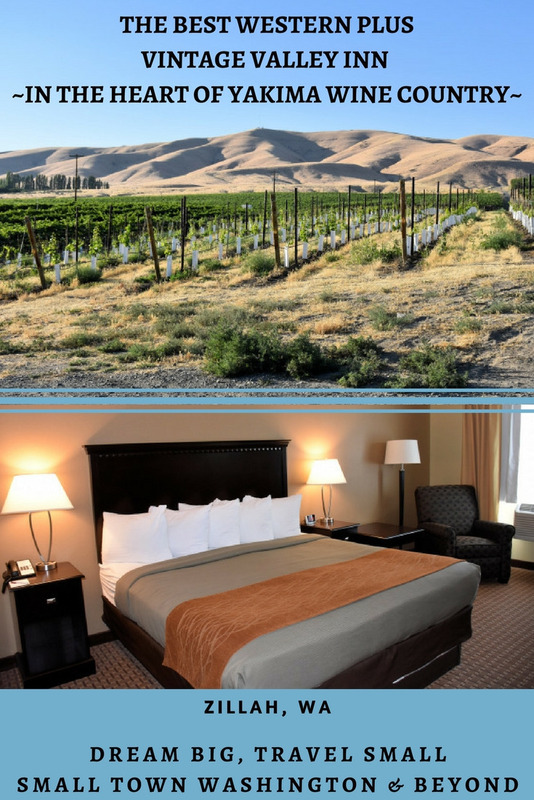 Guests visiting wineries on the Rattlesnake Hills Wine Trail can receive 20% OFF ANY room type.Use code: WINELVR at the Best Western reservation website, or call to make a reservation and let them know what Rattlesnake Hills winery you plan to visit! Carless Options: You’ll need a car while visiting. Dining Travel Tip: There are a handful of restaurants in town including fast-food. Even so, you might feel the range of selection limited. In town, I’d recommend The Chophouse at The Old Warehouse for burgers. The Warehouse also has live music at its music venue, Perham Hall, check their website for a schedule. I heard good things about the Squeeze Inn in downtown Zillah, but didn’t get to eat there myself. A short drive away is HopTown Wood Fired Pizza, and in Yakima (a 20-minute drive), I’d recommend Crafted and Cowiche Canyon Kitchen & Ice House. Activity Tips: The main attractions in Zillah is the Rattlesnake Wine Trail and the Teapot Dome Service Station (On Saturdays during the warm months of the year, the teapot is manned by volunteers. Hours vary, but usually from 12pm-5pm). Nearby are the Toppenish Murals, Fort Simcoe Historical Park, and a range of wineries and outdoor activities like hiking, biking, water sports, skiing, and whitewater rafting are an hour or less from the hotel. If you plan to drive to the Columbia River worthy stops are Maryhill’s Stonehenge and the Maryhill Museum of Art. 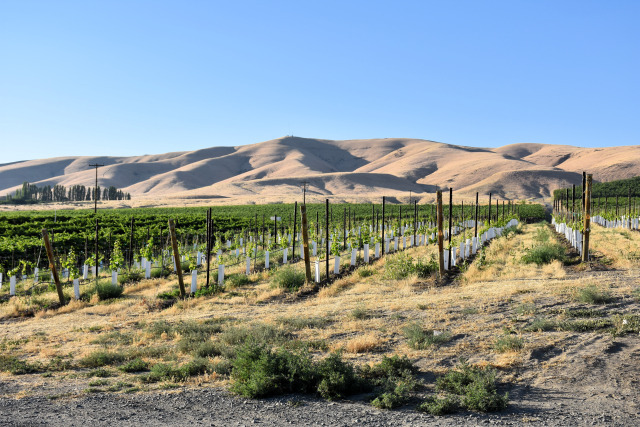 To learn more about nearby Yakima Valley wineries, check out 5 Yakima Valley Wineries You Must Visit, and Wow Moments in Washington’s Yakima Valley, and Visit Yakima Valley. There are plenty of ways to get the local scoop. The Vintage Valley Inn looks like a great place to stay! Love the touch of chocolate cherries as a treat! This is the kind of hotel I look for when I’m on a road trip, and the extra snack in the evening and the full breakfast are just icing on the cake! Looks like a great place to stay! Tami, If you like evening snacks I noticed that many hotels in Idaho offer some sort of snack. It is great for traveling and traveling with kids. I think this hotel has a lot to offer travelers and it is in a great location. What a fun trip! Thanks for the ideas! I hear so little about this region, and had no idea there was a wine area there. Just one more reason to visit! Roxanna, Washington is the second largest producer of wines in the US! I hope you get to visit soon and taste what the region has to offer as we have some fabulous wines! I don’t typically imagine Best Western having such swanky digs! Sounds like a great place for exploring the area. I’m not incredibly picky when it comes to hotels, comfy & nice looking space (like this one), a lovely pool, free wifi and a good breakfast is really all I need to be happy! This place has all of the above–so I’m totally sold! Miranda, I was impressed with the Vintage Valley Inn and thought the evening snack was a really nice extra perk. Thanks so much for commenting! Looks like a good spot. Was interesting to see your reference to North West styling….shall have to pay more attention to the different areas of the US now to see how it changes. Could the teapot petrol station get any cuter! Just loved it. Also enjoyed learning more about the wine region as we tend to really just hear about Napa and Sonoma. Best Western is always one of those go-to chains and they rarely disappoint. I would be so disappointed not to have bought my bathing suit too! What a beautiful pool area. That bed looks amazing – it’s so huge! Or is it just because the pillows are all lined up to make it look bigger? Nice that it is so spacious! That’s important to me too. The hotel seems neat and comfortable. I do like those vintage photographs on the walls and I would probably be asking a lot of questions about those if we were staying there. Best Western has some good properties around the world. How was the service? Punita, The staff at the front desk was very helpful and at breakfast, the area was clean and well-stocked. Jing, After a day of touring the chocolate cherries, was a nice indulgence. Thanks so much for commenting! Looks like a lovely place to spend a few days at! I’d love to read about the wine trail by the way! Never would have thought there is an amazing inside pool there. Aaand the chocolates and cherries surprise is such a nice detail! Sia, I’ll be posting about the wine trail soon! Claire, You and Danik will love Washington’s beer and wine country!